You don't need to go far for a real adventure, come get involved in a fantastic Trek around the cities of the UK! 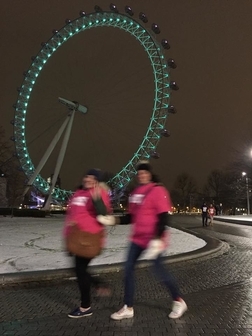 With plenty of experience organizing night walks around the country (London, Glasgow, Manchester and Bristol - as well as Snowdon, Scafell and Pen Y Fan in the mountains), you'll be in safe hands and our highly professional leaders will make the event stress free as you stroll around the famous landmarks of our cities and mountains making for an unforgettable night. We offer multiple cities, as well as upland and countryside locations. Please ask for your preferred location. As an example for a typical London Nightwalk - we start on the South Bank. Lap 1 you'll head over Jubille Bridges, towards Trafalgar Square before turning North and heading up and around Covent Garden, before heading back over Waterloo Bridge to the finish. For lap 2 we'll head over Westminster Bridge under the watchful London Eye and past Big Ben then a quick lap of St James's Park before heading back along the Mall to reach Jubilee Bridges. From here it's a final few meters to the finish in preparation for the final lap and the last 5km! The third lap sees us head East towards Borough Market and across London Bridge before heading via the London Monument and a quick photo at the Gherkin. It's then the home straight back over to Blackfriars bridge and home! Expect an event full of laughs and fun as you wind your way across the city raising money for a great cause. 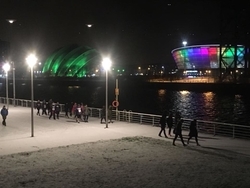 Night time temperatures can drop significantly and combined with tiredness you may feel very cold, so wrap up warm, and be ready for anything! Make sure you pack according to the list you will receive in your joining document. Remember that layers are the key, allowing you to adjust your level of warmth more easily. Hat and gloves are essential, as are good walking shoes or trainers.